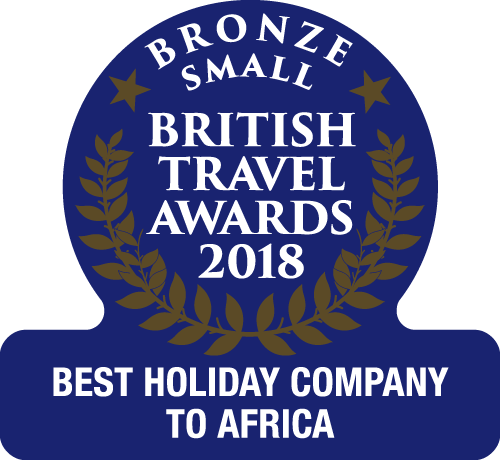 I first heard the sound of a djembe drum while sipping a cocktail by the pool at Kombo Beach Hotel. It carried on the air from the nearby beach bar, Dominoes, where a number of djembe players jammed each evening. It wasn’t intrusive but it piqued my curiosity. Since then I’ve seen many drumming troupes. They often perform in hotels and restaurants. I’ve even learnt how to play the djembe myself. Lessons sitting under a palm tree on Kotu Beach, arranged through the Kombo Beach Hotel, is a fond memory that will stay with me forever. 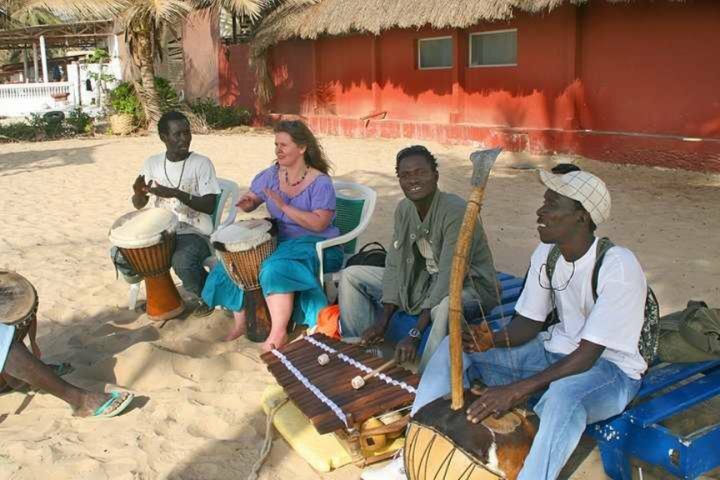 The djembe, pronounced jem-bay, is an integral part of life in West Africa. Different rhythms and the accompanying dances are performed at events such as weddings, births, and funerals. The head of the drum is made from goat skin and the body is carved from a single tree trunk. It takes a highly skilled craftsman to make one. They are tuned by tightening the ropes that wrap around the body and thereby tightening the skin. 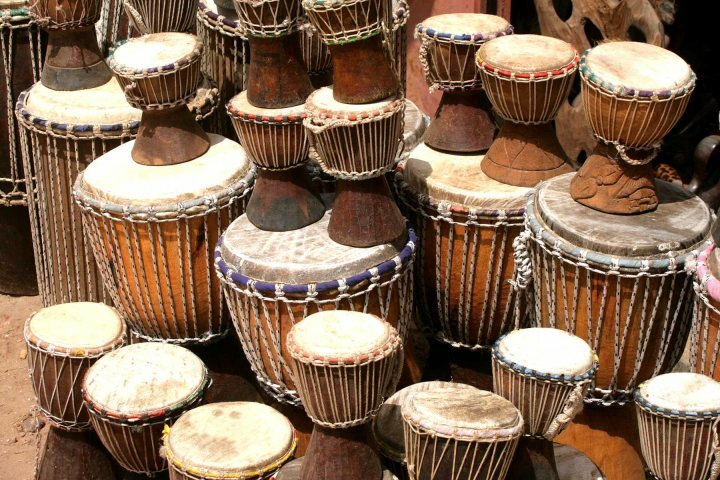 The djembe is believed to date back to the 12th century and the Mandinka tribe in what is now Mali. As the Mandinka Empire spread out across West Africa in the 13th century, they took the sound of the djembe with them. To some Western ears, like my father’s, the noise is little more than a racquet, but to others, like me, it is an intoxicating rhythm that makes me want to dance whenever I hear it. The rhythms can be simple or complex but when a group plays together, each person playing a different rhythm, the layers interlock to form the complete polyphonic sound. At times, they may come together as one in a united pattern before diverging again into something more complex. Periodically a lead drummer will play a call, signifying a change in rhythm, or a series of calls and responses, and soloists will take their turn to shine. The performance may be accompanied by dancing and even acrobatics. The best display of drumming and dancing I've ever seen was by the group Tamala Africa Percussion Troupe. I was lucky enough to catch them performing at a friend’s wedding and later invited them to perform for a group of bloggers we were hosting in The Gambia. Nellie from the adventure travel blog, WildJunket, took the following video. 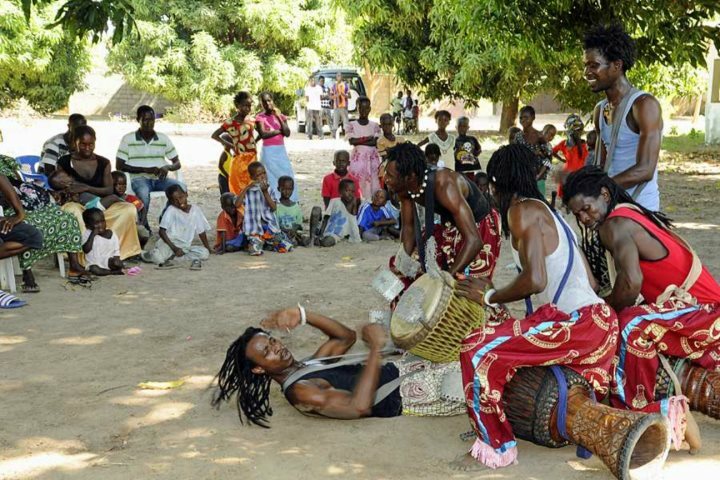 West Africans grow up with their traditional rhythms, learning to play by mimicking older siblings and peers. For us Westerners, with untrained ears, learning to play a djembe can be quite challenging, but with perseverance I’ve seen even the least apt student succeed to a competent degree. Of course, it’s highly unlikely that any of us could ever compete with a West African master, who has the rhythms of the djembe in his blood.